Bushmills Bourbon #3 Char Cask Reserve Irish whiskey (40% abv) is the third and latest edition in its Steamship Collection. The Northern Irish whiskey is said to be the result of its long-standing relationship with master coopers from Louisville, Kentucky, who reserve only the finest American white oak, custom-charred bourbon casks to mature this whiskey. 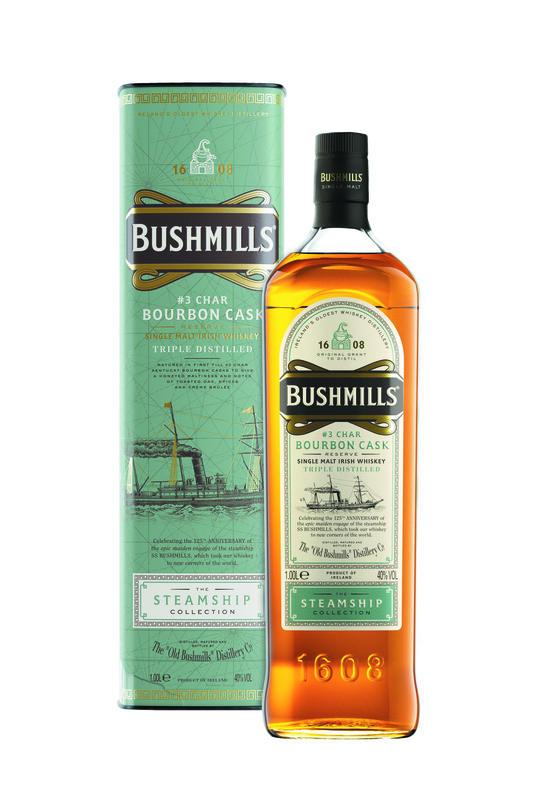 As a global travel retail exclusive, this variant follows the launch of Bushmills Port and Sherry Cask Reserves, marking the 125th anniversary of the maiden voyage of the SS Bushmills. In 1890, the ship set sail on her maiden voyage to America to deliver Bushmills Irish whiskey worldwide. She returned with a variety of seasoned casks.